Dancewear Works is one of the most unique ballroom dance wear and accessory distributors in the United States. We provide Latin, Ballroom and other dance wear at factory direct prices to customers and also attractive wholesale price for other dance wear companies and studios. 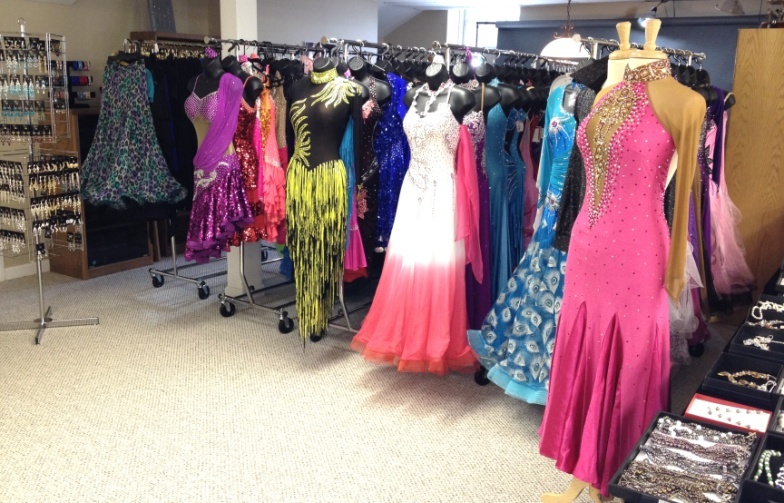 Dancewear Works is located in Ridgefield Connecticut and enjoys a reputation for offering a wide variety of ballroom dancewear and accessories to please every budget. Our dancewear are affordable, and at the same time provide you with glamour and comfort. What makes Dancewear Works most unique is the fact that our team of designers are all ballroom dancers as well who have great deal of experience in designing ballroom dancewear. We understand what a dancer's needs are. We can help you to create highly stylized and personalized dancewear at a very affordable price. All of our comfortable practice wear with built-in underwear allows you to dance with confidence. We are not compromised our service level with our prices. Our service guarantee and no hassle return policy allow you to purchase from our on-line store with ease. Or make appointment now to visit our show room to try on wide variety choices of dancewear, shoes and accessories.